A remarketing campaign is a type of text, image or video advert offered by google, and can be used across their display network. The ads are designed to ‘follow’ people who have visited your site but have left without purchasing. The ads remarket to the customer the items they browsed in your store. These campaigns are very useful for any company that regularly has customers abandoning baskets. This will remind the customer that they were looking for your product and encourages them to come back and continue shopping. Did you know that 72% of all shoppers abandon their cart before completing their purchase? This is a huge amount of sales that you would be missing out on. With remarketing 26% of these abandoned carters return and compete their order! Remarketing ads are particularly successful if combined with a dynamic ad, this will show the customer ads specifically displaying the product they were looking at on your site and other products of that will be of interest to them. There are also the option of adding a promotion to your remarketing ad’s, for example putting a 10% off code into your graphic ads to encourage the customer to come back and finish their purchase with this new discount to make it more enticing. Another way to use remarketing ads is to encourage customers who have already purchased from your store to shop with you again. Ads showing other products they might be interested in or prompt them to re-purchase an item that runs out, are a good way to keep customers coming back to your store time and time again. 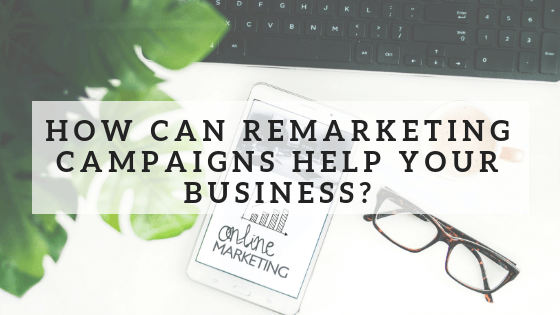 Overall remarketing ads are great for gaining repeat visitors, increasing brand awareness and recovering people who failed to complete a purchase.